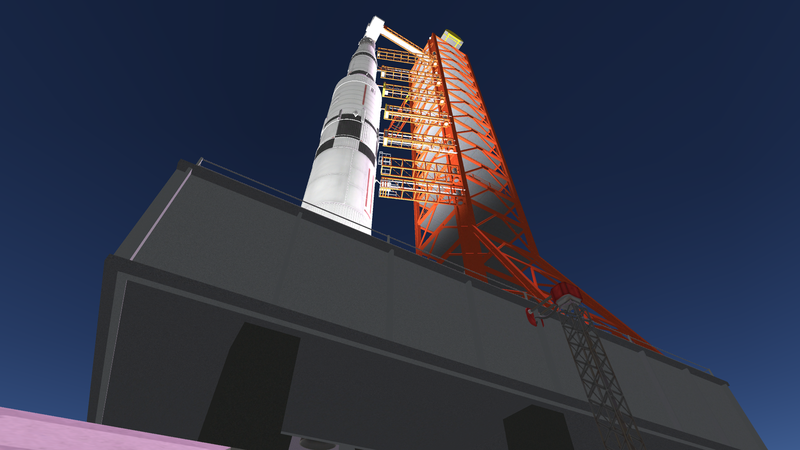 A mod rocket called BDB/MLP Apollo Saturn V. Built with 120 of the finest VAB parts from KSP version 1.4.3. This is a pretty standard build, probably not perfect. 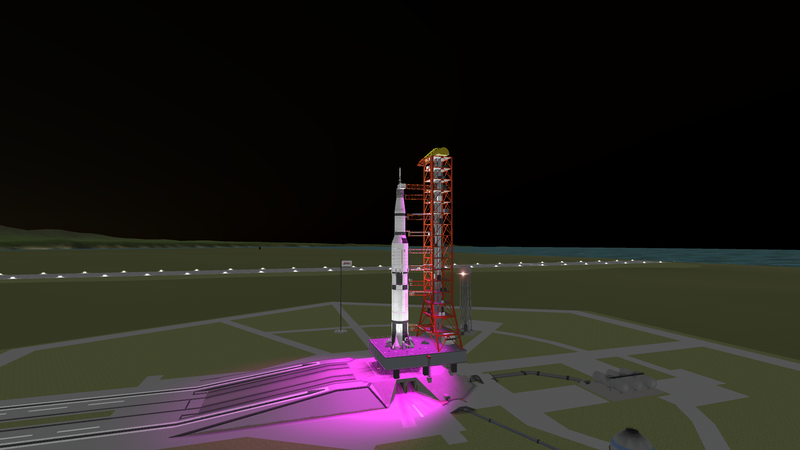 There is an Mk3 Passenger Module at the bottom of the Tower in case you want to start your Kerbals there and lift them up in the main tower elevator. 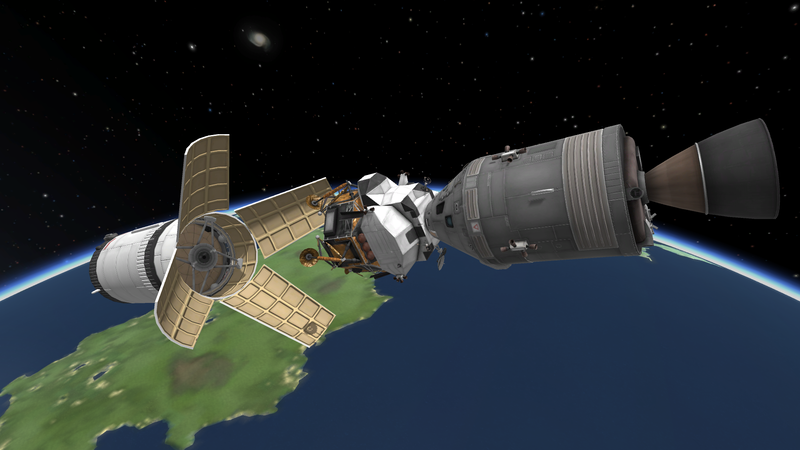 You can also move the Passenger Module down below and let them go up both elevators. I added some Docking Port Jr.‘s for use as camera ports on the bottom of S-II, if you have that Mod, so you can watch the S-IC and Interstage separations from that classic perspective. 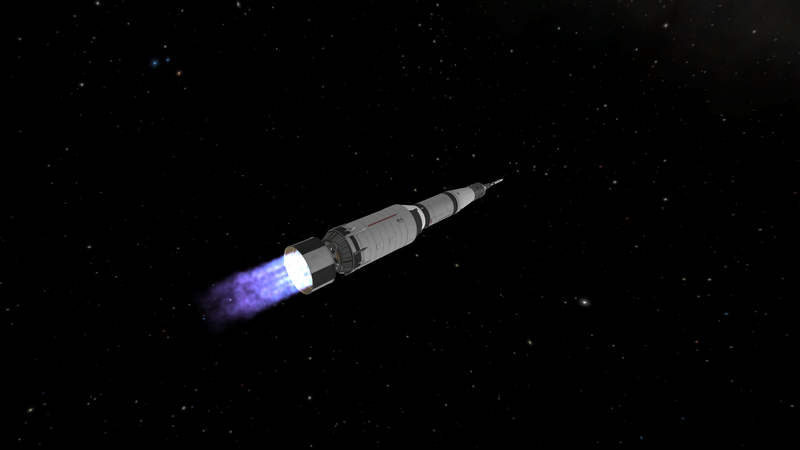 You need to shutdown the engines and stage before you run out of fuel to get a similar launch profile to the Apollo 17, but this is realistic and you shouldn’t need to rush the staging in this build. 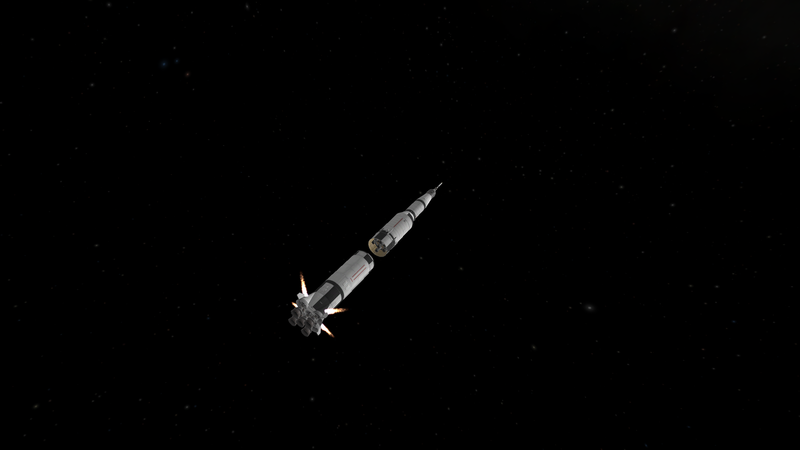 For hyper-realism try to circularize around 69000 km so the orbit decays with time as the Apollo Parking Orbit was fairly low and would decay. Saturn V engines could not throttle down and were ignited only once except for the S-IVB which could be fired twice on the manned missions. However, the S-IC & S-II stages can cutoff the inboard (center) engine and S-II changed engine fuel mixture which lowers thrust (simulate by throttling down a bit). 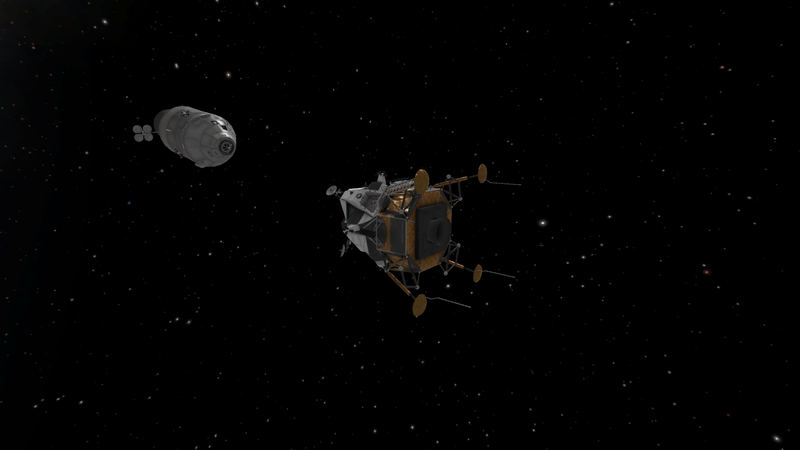 Watch the Time to Apoapsis closely (with Kerbal Engineer Redux mod), pitch is your main control. When you Abort be sure to disable SAS or set Retrograde, the Launch Escape System will deploy small canards to help push the Blunt-End-Forward before it self-jettisons. Even a Pad abort should get you into the ocean. One very minor note – the Spacecraft Lunar Module Adapter (SLA) doesn’t have the option to jettison the Panels, in early testing they had failed to fully open so they added a spring-loaded hinge release system in later versions which is missing in this model. But I do like the look of leaving them attached.